MA Language Technology. Systems developer vid Språkbanken, Department of Swedish Language, University of Gothenburg. 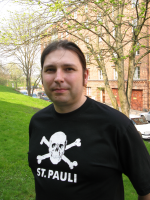 Free Software Foundation Europe fellow # 271, show your support.